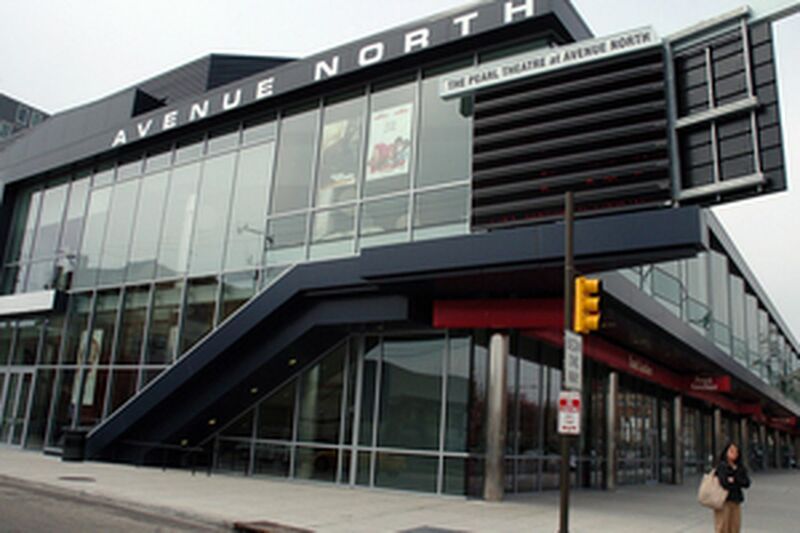 The Pearl Theater at Avenue North in North Philly. HOW DO YOU tie crime prevention to continued investment in the Avenue of the Arts and support for the cultural organizations that populate its length? The question was a toughie for even the most veteran politician among the five candidates seeking the Democratic nomination for mayor in next month's primary. The question was posed as part of a candidates forum hosted by the Avenue of the Arts Inc. at the Pennsylvania Academy of the Fine Arts on North Broad Street yesterday afternoon. The Avenue of the Arts established by former Mayor Ed Rendell stretches from Washington Avenue to Somerset Street. The south end is well-anchored by the Kimmel Center, the Academy, the Wilma and Merriam theaters. North of City Hall cultural institutions are smaller and more scattered with PAFA, Freedom Theatre, the Liacouras Center and The Pearl, a new multi-plex movie house. U.S. Rep. Robert Brady, before skipping out, said he believes the arts in general and the Avenue of the Arts in particular are important to the city's economy. That left fellow U.S. Rep. Chaka Fattah, state Rep. Dwight Evans, former Councilman Michael Nutter and Tom Knox to field questions from the audience. Fattah was first up when moderator Zack Stalberg, executive director of the Committee of Seventy, pitched the question about how candidates would fit the Avenue of the Arts into their efforts to end the violence that has claimed 110 lives since Jan. 1. Fattah gamely wandered here and there looking for a point to make without success. He began by stating, "Crime is a symptom of a set of problems facing the city . . ."
He concluded with the need for more arts-and-culture programs in public schools. None of the others was any more successful at fielding Stalberg's curve ball. However, each acknowledged the importance of the arts-and-cultural institutions to the city's economy, and promised to provide more bucks to support them. fueled by redirecting the 1 percent of every commercial development project that is now used for public-art installation. Evans echoed the need for predictable funding for the arts, but suggested that an increased liquor tax might be a better source because it could be used as a regional fund. Knox wants to do a bit of everything, including hiring an advocate for the Avenue of the Arts, starting a funding program and reopening the Office of the Arts that existed when he served as deputy mayor under Rendell. "We need to reopen it and make it a regional effort because we can lobby better in Harrisburg and Washington as a region," Knox said. No matter what the question, Fattah somehow wound up discussing the need to help the one in every four Philadelphia citizens who live below the poverty line. You have to think of Avenue of the Arts differently north of City Hall, he said. "East of North Broad the poverty rate that is 25 percent for the city as a whole goes up to 45 percent. We need to have a cultural renaissance that includes everyone." As much as they tried, the candidates couldn't quite mask their impatience with questions about development issues in a city where shootouts are a daily occurrence. The need to remove abandoned cars, tear down derelict houses, clean trash-filled lots, and spur new development were pre-eminent issues in the 1999 election. This time around, bricks and sticks have taken a back seat to gun violence and political reform. reform initiative that is on the primary ballot, both responded with looks of blank incomprehension before launching into a spiel on their support for the ballot question on casino locations. That apparently is the only ballot initiative on their radar screen. Nutter has given some thought to fiddling with the 10-year tax abatement on new construction. He would lower the term to five years in high-value areas and stretch it to 15 years in more challenged neighborhoods. He also would reduce the abatement to 90 percent and direct the 10 percent to an affordable-housing trust fund. Fattah wants to direct the revenue generated by the expiring tax abatements to support construction of affordable housing. Evans wants to repeat his success in revitalizing the Ogontz Avenue business corridor on other failing neighborhood shopping strips. Little has been said so far about how the candidates would continue to pay for the anti-blight programs started by Mayor Street that have helped spur the large-scale development projects that create new jobs and tax revenue. Let's hope no one believes the economic growth of the last seven years will continue without a focused effort to continue these programs.